Bring a piece of the nationwide 7th Son: OBSIDIAN blackout into YOUR world with these fourteen collectible propaganda posters! These high-resolution printable posters — which would appear in the 7th Son Universe during the blackout — reveal the horrifying circumstances in the U.S. during OBSIDIAN. Martial law has been declared. Looting is rampant. Chaos reigns. Only one of these posters will be available for download at JCHutchins.net during the OBSIDIAN event. The rest roll out exclusively on thirteen other websites. Each site will feature one poster design only. To collect them all, you must visit all thirteen sites. During your quest to obtain these posters, you’ll be exposed to incredible resources and storytellers. These thirteen participating sites feature world-class fiction, sci-fi and gaming news, reviews and music. They’re the very best sources of online entertainment for 7th Son fans, and J.C. Hutchins endorses them as “must subscribe” content. Which sites are participating in the OBSIDIAN propaganda poster evert? Which posters appear on what website? Ahh, that’s a secret. It’s part scavenger hunt, part “collect them all” trading card concept, part cross-promotion. 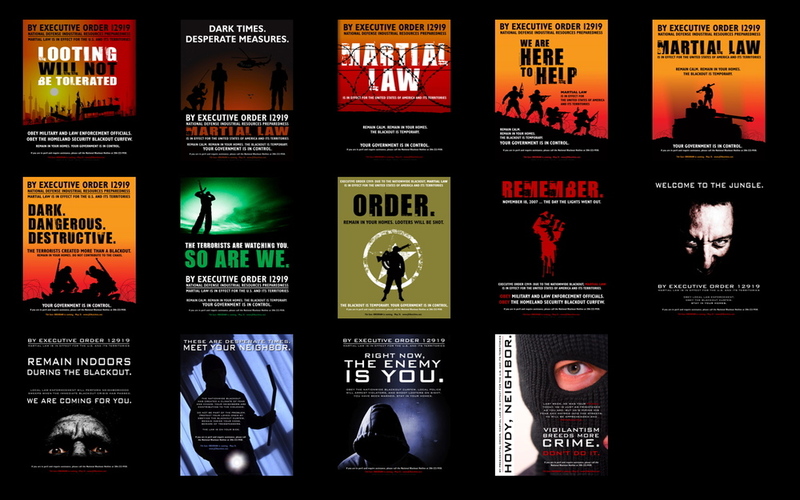 So visit these sites, download all fourteen posters, expose yourself to some of the best entertainment on the web … and of course, print the posters and display them proudly for all your friends and coworkers to see!